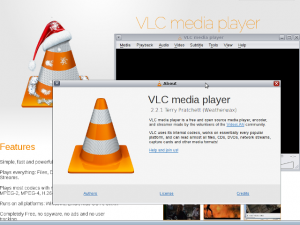 The popular VLC media player from the Videolan project has been updated for Hipster to the latest release, version 2.2.1 Terry Pratchett (Weatherwax). The list of enabled configuration flags can be inspected here. While the set of codecs supported by this build covers a large majority of existing audio/video formats, some plugins like Live555, Shine, x262, x265 require libraries which are not in oi-userland yet: feel free to contribute the missing bits ! Installation requires that you add the encumbered repository to your publishers. save, configuration is located in ‘~/.config/Trolltech.conf’.